Tax-Compare.com provides information about the top providers of the latest tax software that can handle returns filed in the current tax season. 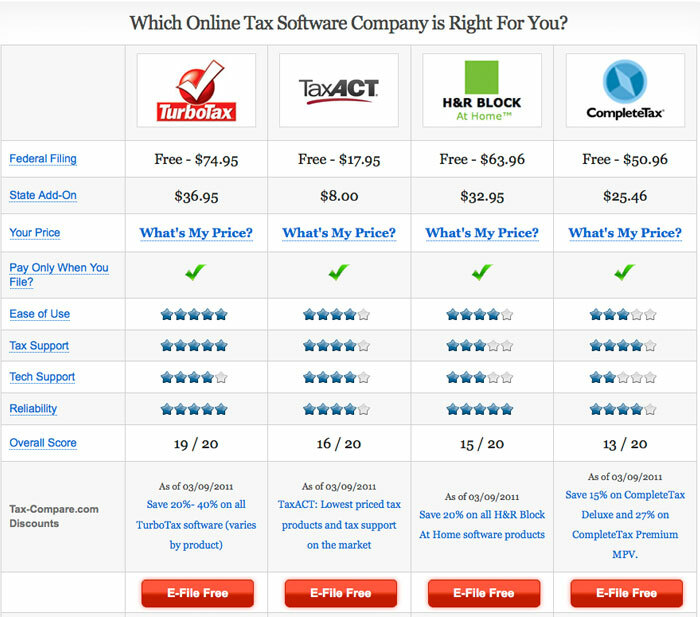 The top tax software companies each have several different products at dramatically different price points, so it’s difficult to make an “apples to apples” comparison by simply looking at the pricing and features. Through a short questionnaire, Tax-Compare allows people seeking tax software or online tax software to input some simple information that automatically adjusts the products they are comparing to the ones most likely to work for their tax filing situation. Because the products change each year, the site is updated annually with the current tax software products on the market.